Your website is as essential to your private practice as your business cards. Websites for therapists are how your clients perceive your practice and your work. Creating a high-performing website for your private practice is easier than you think! About 10 years ago, your business card was your “face to the world.” It was how you introduced yourself and made an impression on potential clients and referral sources. Today, that’s what your website has become. 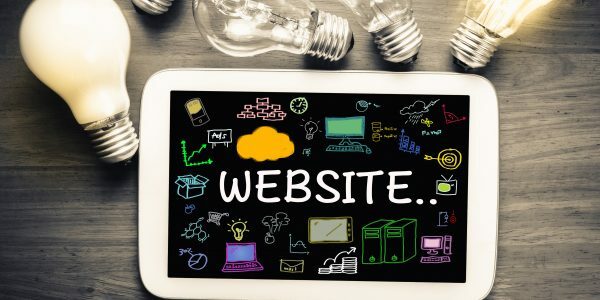 Before you embark on developing or redesigning your therapy website, let’s get clear about exactly WHAT your website is supposed to do for you. Allow your potential clients get to know, like, and trust you so that they feel comfortable calling your for therapy. Clarify who you work with and how you work, so you can stand out from the crowd. Provide value to your potential clients with valuable tools and resources. Invite visitors to take the next step in working with you by scheduling a consultation or appointment. Connect with those visitors who aren’t yet ready to call you for therapy, so you can build a relationship with them until they are. Makes sense, right? A well-built website accomplishes all five of these goals, and works around the clock to help build your practice. However, that’s the WRONG place to start. Rather than starting with the design of your website, begin with the current overall performance of your website. Otherwise, you may overlook problems that are preventing you from getting clients. If you don’t fix these problems, then no matter how good your design, you won’t get the calls you want. Just how important IS your website design? Am I getting enough traffic (visitors) to my therapy website? Are those visitors calling me for therapy? Getting people to your website is just the first step; the next step is determining if those visitors are calling you for therapy. (This is known as your “conversion rate.”) The higher your conversion rate, the better. For every hundred visitors to your website, you should be getting 3 – 4 new client calls. If you’re not, the content on your website isn’t as compelling as it needs to be. Is my website “sticky” enough? Google uses over 200 different factors to determine how they rank a particular site. One of these factors is the “stickiness” of the site. What does this mean exactly? Stickiness has to do with the likelihood that a visitor will return to your site more than once. If people come to your site once, and don’t return, that’s an indication that you don’t have enough useful and relevant information to appeal to them. One of the ways you can measure your website “stickiness” is through your analytics. Lets say you have 100 visitors to your site, and 200 sessions; this means that on average each person is visiting your website twice. Congratulations! People are interested in what you have to say and returning for more. Or maybe you have 100 visitors to your site, and only 101 sessions. Bad news: most people came to your site and didn’t return. Once people come to my website, are they interested in what they are reading? Does my website address the biggest problems faced by my ideal client? Notice that NONE of these five elements have to do with your website design. Now, I’m not trying to say you should ignore design entirely. Just understand that if you’re not getting enough new client calls from your therapy website, the answer usually ISN’T design related. Is your therapy website doing its job? Therapists need to have websites. Why? Millions of people search online for products and services everyday. And 75% of people who search online are using Google. That means if you don’t have a website, you’re missing out on a huge pool of potential clients. Visibility: When your client is searching for a therapist, will they find YOUR website? If not, you’ve got a visibility problem. Credibility: Does your website convey you as credible in the work you do? One of the best ways to convey credibility is through expert positioning on your website. Trust: Has the client “gotten to know” you through your website content? Even clients who are directly referred to you will still research you until they believe you are credible and trustworthy. Home Page – provides a compelling message to your clients. Consider what is already in your client’s mind and why they are looking for a therapist. This should be the foundation for the content on your home page. Many therapists make the mistake of writing about themselves and their clinical skills. It’s better to focus on your client’s problems and the solution you can offer them. About Me – This is an essential page because it allows your client to get a sense of who you are and how you work. This page should be written in a warm style that shows your personality. Recognize that clients may be a little apprehensive when calling a psychotherapist, so let your ‘About Me’ page put them at ease. Contact Me – While you should have clear contact information on each page, this should be its own page as well. Make it easy for clients to contact you and give them an expectation of when they should get a response. For instance, many therapists use voice mail rather than a receptionist, so let your client know this, “If I’m in session with another client when you call, leave a message on my voice mail and I’ll get back to you on my next break.” Or if they can email you, let them know how long before you’ll respond to them. The key is not that you respond to them immediately, but that you let them know when they’ll hear back. Of course, make sure you respond within the time you establish. Blog– Let your website be a source of valuable, educational content on your specialty. Your clients and prospective clients can learn more about your expertise, how you help your clients, and what they can expect during treatment. Plan to write 1 – 2 articles per month to add to your therapy website. Services – Potential clients should have a good idea of how you work and what to expect in therapy after they visit your website. This helps them feel more comfortable with the decision to call you. by having a services page or pages, clients get all the information they need to make their decision. Contact – Therapists can use their websites as a way to begin establishing relationships with potential clients by collecting information from the website visitors. You simply place a form on your website that allows you to collect the name and email address of your visitors. You then use this information to add that person to your mailing list or newsletter. This allows you to establish an ongoing relationship and helps ensure they remember you when they’re ready to call and make an appointment. An effective, high-performing website can do the “heavy-lifting” of your marketing for you. However, website design isn’t as important as most therapists think it is. Focus on the key elements that will invite your website visitors to call you, and watch your results improve.